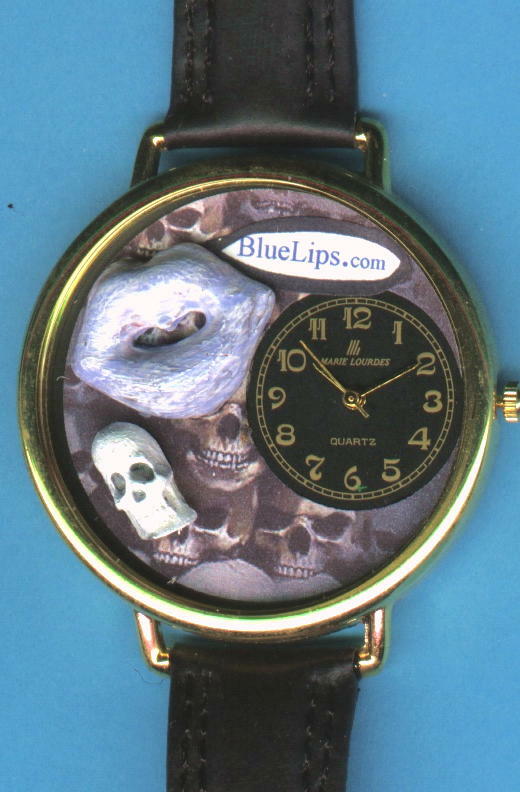 You'll be the envy of all your living friends when you show off your Bluelips watch on your wrist. Custom designed for us. Comes with a black unisex band. Battery is replaceable.